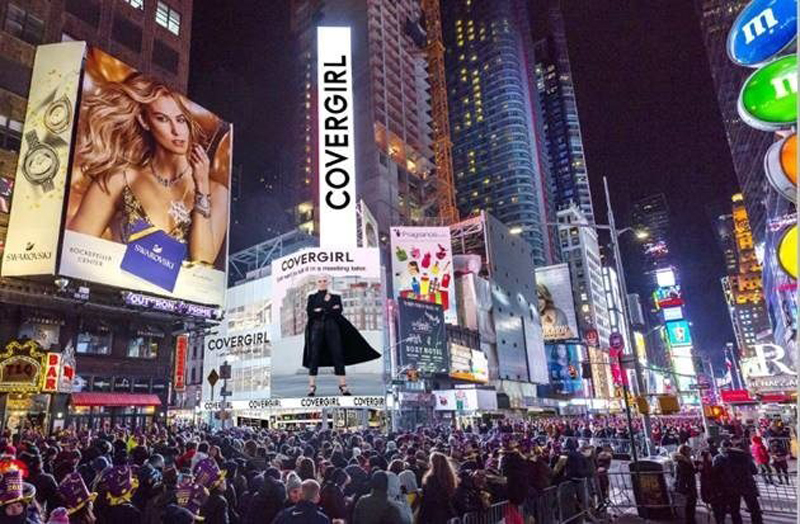 On Monday, American beauty company Coty Inc. announced an upcoming flagship for its relaunched cosmetics brand, Covergirl, projecting an interactive experiential concept store slated to open in NYC’s Times Square later this year. The mammoth 10,000-square-foot retail location, a first for the brand, will feature an experiential beauty play room with interactive elements, as well as full service makeup application and digital experiences. The design of the space will reflect the dynamic neighborhood it is moving into and aims to embody Covergirl’s “I am what I make up” philosophy, encouraging customers to use makeup as a tool for self-expression. The new store, which, according to Coty, will be the first flagship launched by a mass legacy beauty brand in North America, is part of a wider strategy of innovation being implemented at Covergirl, as it seeks to transform the way in which consumers interact with cosmetics. Other initiatives from the brand have included the launch of an in-browser augmented reality (AR) makeup try-on experience in February, perhaps inspired by the success of apps such as Perfect Corp.’s YouCam Makeup. Indeed, the AR revolution is still in full swing in the beauty industry, with brands eager to invest in new technologies (see Shiseido’s acquisition of AI company Giaran, for example) to enhance the consumer experience. Coty itself debuted an AR-enabled magic mirror in its Bourjois boutique in Paris in April of this year, which could well be a taste of things to come at the Covergirl flagship. In any case, incorporating new experience-enhancing technologies into physical retail spaces certainly seems like a smart move in the current environment, as retailers try their best to offer differentiated services and experiential retail increasingly confirms itself as a particularly popular trend among highly sought-after millennial and Gen-Z consumers. The Covergirl flagship is slated to open in New York’s Times Square in fall 2018.